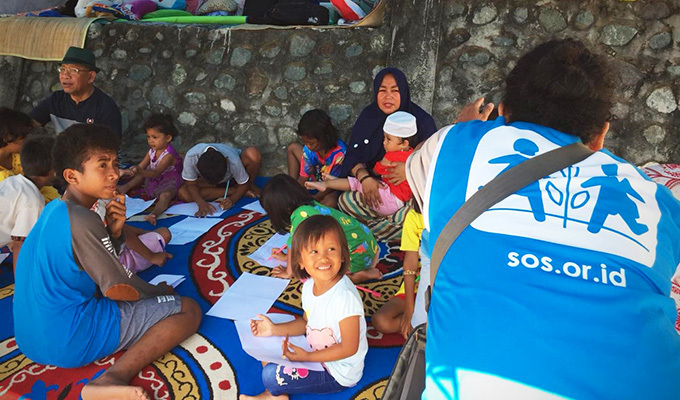 Nearly 40 children whose families lost their homes in the earthquake and tsunami in Palu are being cared for by SOS Children’s Villages Indonesia. A team of experts has established a Child Care Space (CCS) in the area of Tumbelaka where children are now receiving psychological and social support. 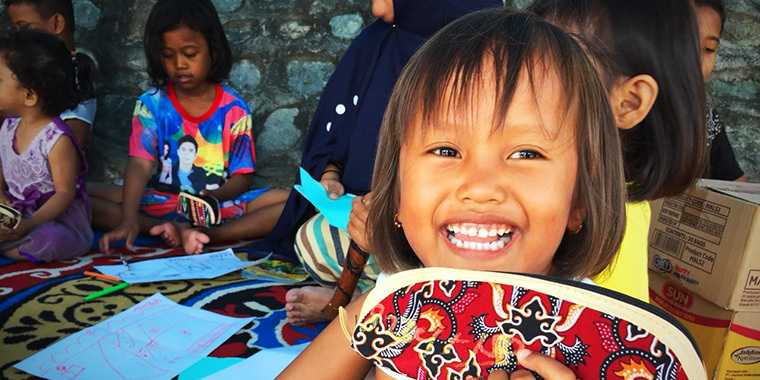 “It is feared that there are close to 70,000 internally displaced people, therefore there is an urgent need for having more Child Care Spaces,” says Gregor Hadi Nitihardjo, National Director of SOS Children’s Villages Indonesia. A CCS offers children a safe place to play and learn while recovering from the trauma of their ordeal. “At the moment, it is difficult to buy material locally as only a few shops are operational,” says Mr Nitihardjo. SOS Indonesia plans to buy materials such as toys, games, sports equipment, study material and tarpaulins from larger cities like Makassar and bring them by air to Palu. Mr Nitihardjo says the three-person team needs reinforcement. “SOS Indonesia is sending two volunteers soon and the team will be strengthened with another three to four co-workers from various SOS Indonesia locations,” he says. The SOS team in Palu is working with other partners such as Save the Children, UNICEF and local NGOs.